Think about whether you are willing to overpay for an A3 laser printer or a color laser printer? So, the first thing you need to decide on when choosing a laser printer for your home is what you will use it for: will you print text, photographs, diagrams or drawings on it? The most common application of a home laser printer is, of course, the text. 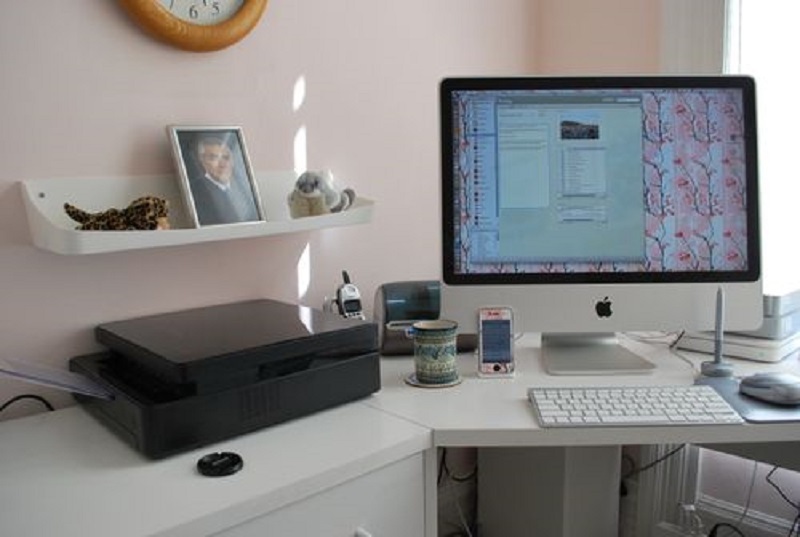 Naturally, if your laser printer is color – this will allow you to print photos on it. The A3 laser printer can be useful when printing drawings and diagrams, but ask yourself: how often do you need this function? In order for you to be guided, how much these functions add to the price, we note that the laser printer of the A3 format will cost much more expensive than the A4 printer. A laser printer without such bells and whistles (perhaps you do not really need it) costs $70. 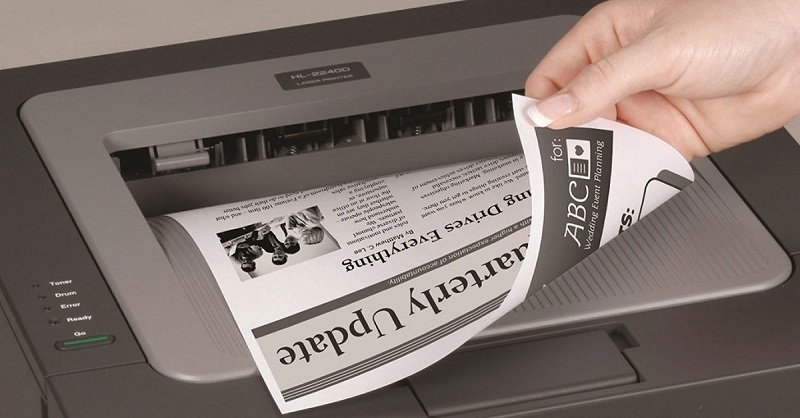 Most likely, most readers will stop on laser printers in A4 format. Note also that the cost of color laser printers with print quality similar to inkjet can cost several thousand dollars and weigh about 180 kg. If it’s easier, it’s not for home use. While a classy inkjet photo printer is quite reasonable $80-100. How often will you use your laser printer? The fact is that each laser printer has a recommended number of sheets for printing per month. Of course, if you want to print several times more sheets. The device will not turn off as a protest, it will do the job properly. But the increased load will cause your laser printer to fail before it is installed. In addition, to buy more productive models (if this productivity will be fully utilized), it can be much more profitable (service costs will decrease). But the last point concerns more buying a printer in an office or for home use a laser printer with a load of 1000-2000 copies per month is quite suitable. Naturally, do not worry. The print resolution is determined by the number of dots per inch that your laser printer (designated dpi) can print. For normal text printing, 300×300 dpi is quite enough. The most common are 600×600 dpi – small parts (or small text) will look good enough when using this printer. There is also the so-called interpolated resolution 1200×1200 dpi, which is achieved artificially with the help of a special software package. The print quality of a device with such an artificially increased resolution will naturally be worse than the “native” 1200×1200 dpi. It better than the usual 600×600 dpi which in our opinion is quite enough. The fact is that a laser printer is a device for page printing. Accordingly, pressing the “print” button, all information is transferred to the printer. It should keep it in its RAM all the time until the entire document is printed. For daily printing, 2 Mb is enough. If you plan to print heavy pdf-files or PowerPoint presentations, we recommend buying a laser printer with a large amount of RAM. 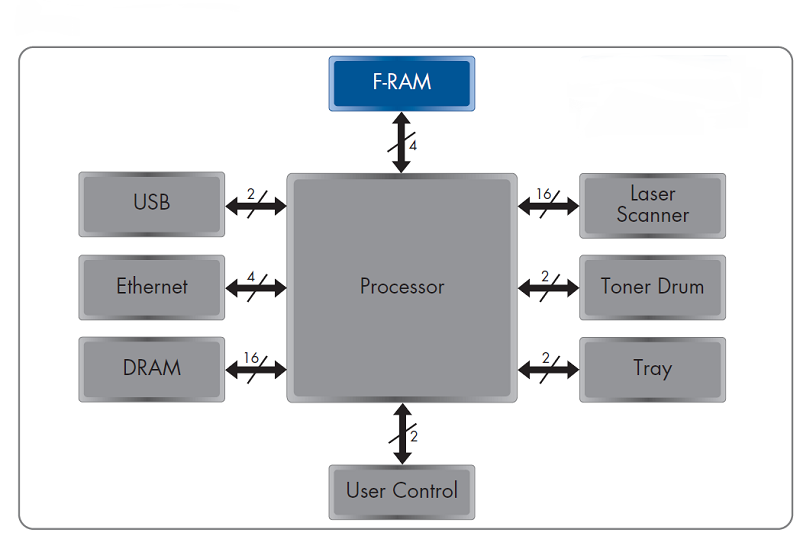 A laser printer can also have a connector for connecting additional RAM modules and increasing it in a perspective. This is especially useful if you are still unsure of which laser printer to buy. The printer’s processor shows the speed at which the device performs operations. The frequency from 100 MHz and above will be quite sufficient. To fix the text or other information on paper, the laser printer uses a so-called “stove“. It must have a certain temperature to print successfully. Therefore, between the time you send the document to print and your laser printer will give you the first page it will take some time. Modern laser printers are “warmed up” for 5-25 seconds. 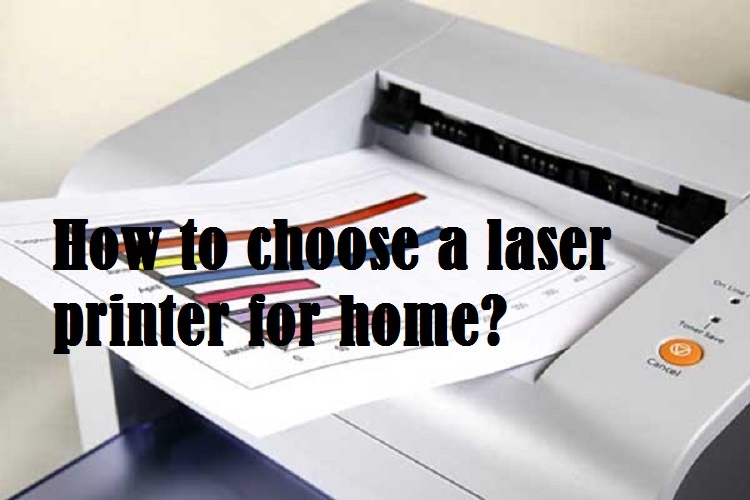 In our opinion, when choosing a laser printer for home use, this parameter should not be given too much attention. The print speed indicates the number of pages that a laser printer can print per minute. This parameter should be at least 20 pages per minute. As well as the previous characteristic, it is not necessary to put printing speed at the forefront. It is most often used by manufacturers in order to present the model as super-fast. After all, if a laser printer does not print 24, but, for example, 26 copies per minute, then when printing, say, 50 sheets, you will have only 13 seconds each time. Think about how important it can be to you? When choosing a device, pay attention to which operating systems your laser printer supports. If you are used to printing from Windows – this is not so important. Almost all printers can work in this environment. It’s another matter if you plan to print from MacOS or Linux. Note also that most laser printers work with MAC. But it’s better to check the availability of MAC drivers for the printer model you like before purchasing. In this case, carefully read the printer specifications or contact the seller. Most often, modern printers will connect to the computer via USB. In the distant past, printers were connected to the LPT port. Some modern devices also have such a port to use it in case there is no USB input on the computer. Still, sometimes it can be useful Ethernet-connector – such laser printer can be connected to your local network. After all the quantity of families where there are some computers constantly grows. Also, the wireless interface Wi-Fi is in advance popularity. Among the features that a laser printer can have and the availability of which can simplify your life a little. You can distinguish the possibility of two-sided printing and the volume of trays at the entrance and exit of printing, the presence of a screen. The latter is most often found in inkjet photo printers and is convenient when printing photos. Since the laser printer was not originally designed for this, this is a very rare option for all and frankly, not very necessary. If you often need to turn the page for various reasons (for example, to save paper), it is not very convenient, especially at a volume of 20 pages. But at the same time, do not forget that the availability of two-sided printing today does not lead to a significant increase in the cost of the printer. A sufficient volume of the home printer tray can be considered 50 sheets at the output and 100 sheets at the input. Think also where you plan to place your laser printer. Some models offer vertical loading/unloading of paper (if you can save usable working space). 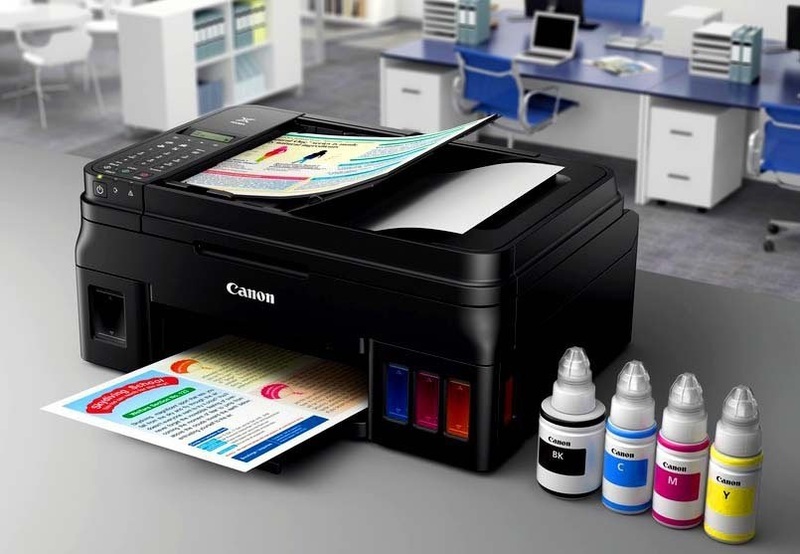 If you are concerned about the size of the printer, take a closer look at the innovations from the Canon, especially to its model Canon 6030w, which is perhaps the most compact of home laser printers. 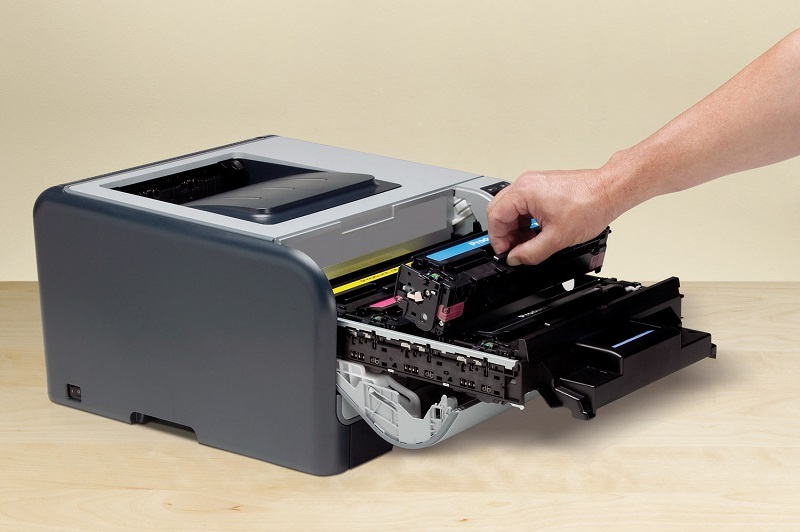 A laser printer (like an inkjet printer) can be refilled, but after several refills, the purchase of a new cartridge is necessary. So, a cartridge for different printers will cost differently. HP will cost a little more than a similar product for Samsung or Canon. Many printers also offer the possibility of economical printing, at which the power consumption can be reduced by 25-30% without noticeable deterioration of image quality. Accordingly, fill and change the cartridge in these printers will have less. 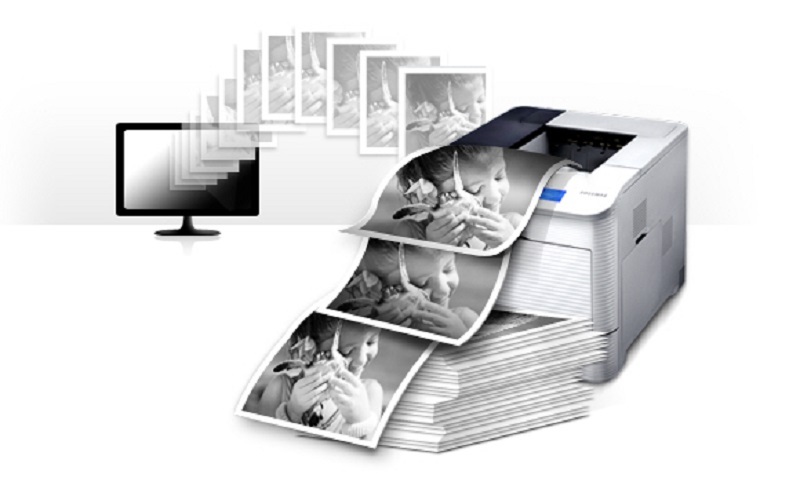 An important factor in choosing a printer is its reliability. We recommend that you pay attention to the products of Japanese manufacturers: Canon, Ricoh, OKI. Also good is the Xerox printers. But HP or Samsung recently are not pleased with the special reliability. We hope that you now have enough knowledge to choose the most suitable laser printer for you.